The Spruce Stove takes a different approach to burning wood. The longer the tree, the longer you can fire up your stove. 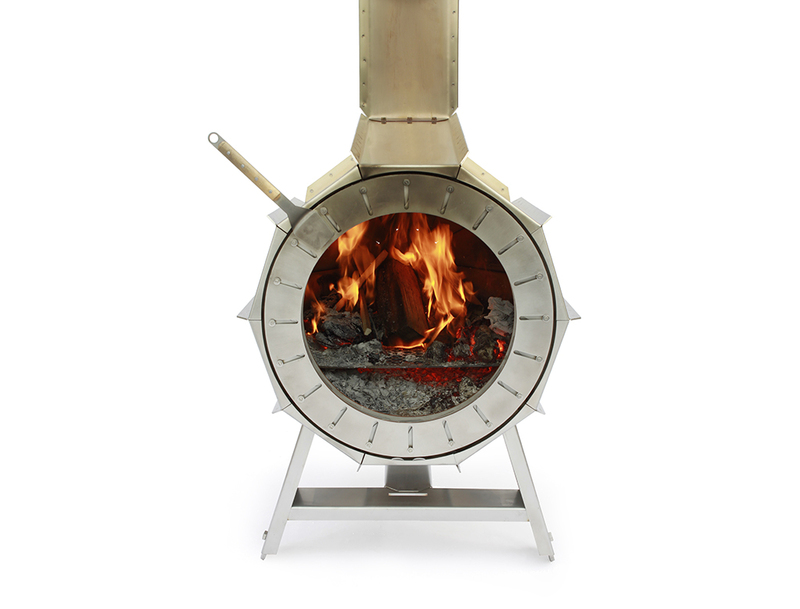 The Spruce Stove is designed and produced by Michiel Martens and Roel de Boer, two young Dutch designers based in Eindhoven. 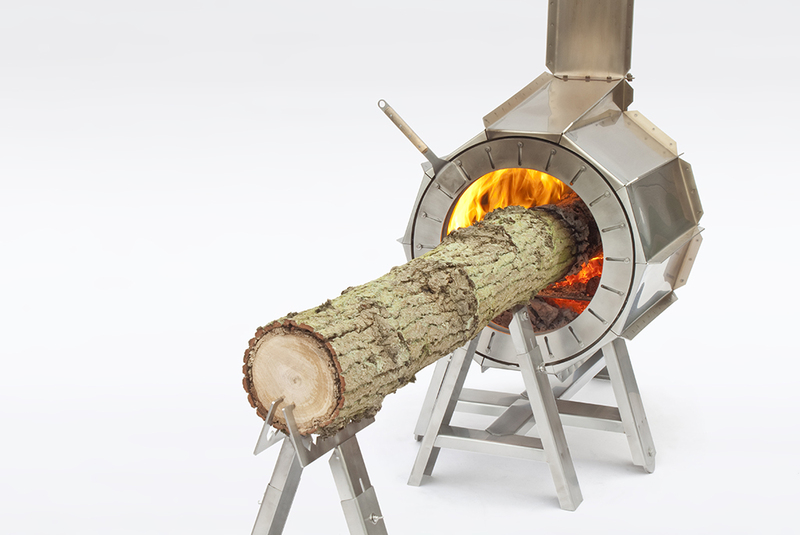 Instead of using only chopped firewood, the Spruce Stove is a heater into which complete tree trunks can be gently pushed through a special opening. 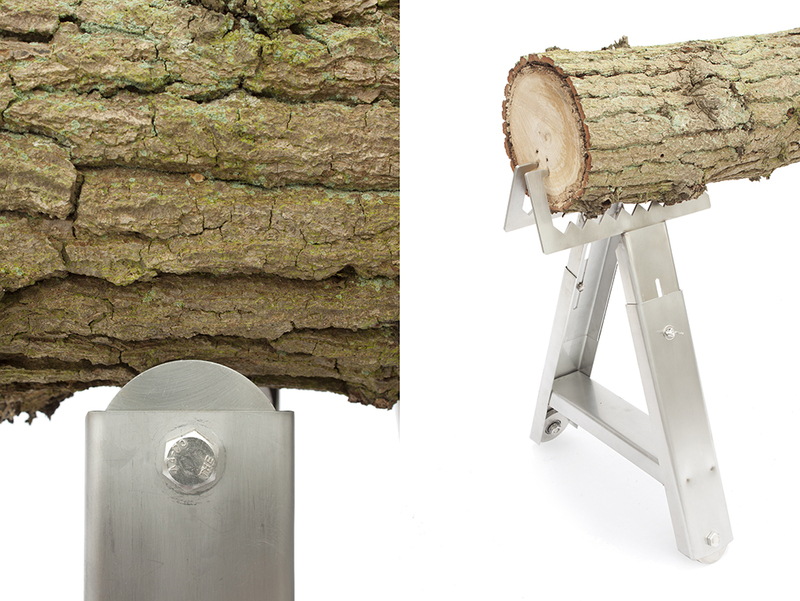 This opening, a fully working diaphragm, encloses itself perfectly around the tree trunk. 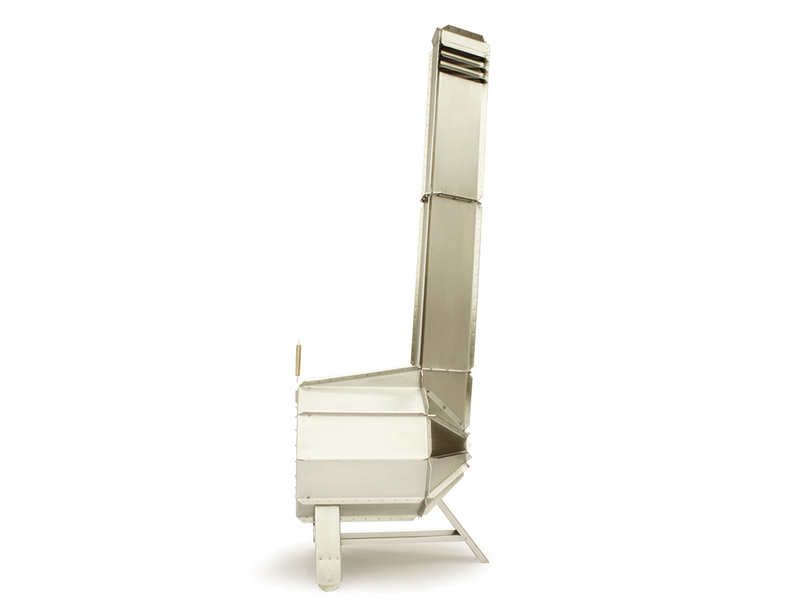 Another novelty is the integrated chimney, which measures more than two meters. 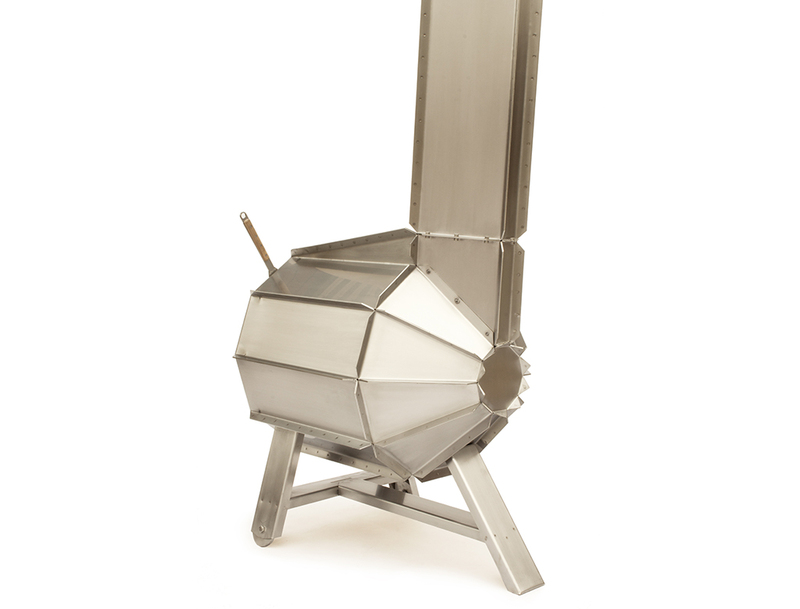 Spruce Stove Model Two is built for outdoor use. A tree delivery service is now being set up. 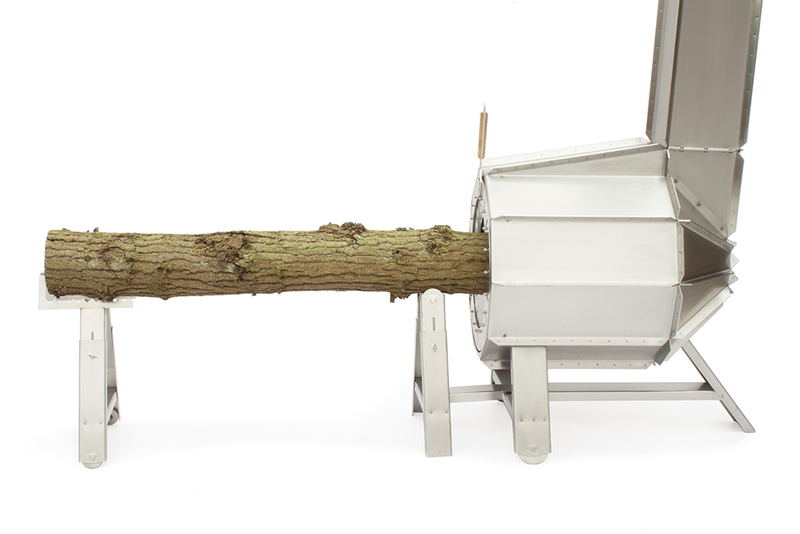 When this is completed you can have tree logs of around 1.5 meter length delivered (only in the Netherlands). The stoves also work perfectly well with chopped wood.